You see it on TV all the time-- someone finds a bottle of pills and angrily dumps them into the toilet and flushes them into the sewage system. Many people have been trained to think it’s okay to flush pills, expired or not, down the toilet, and this is a misconception that needs to be changed. In order to do that, people and businesses need to understand the impact of improperly disposing of old pills. The short answer is yes. Have you ever been told not to take anyone else’s pills? That’s because you don’t actually know what is in them, and there could be chemicals or side effects that could harm your body. When people make a habit of flushing old medicine, the chemicals in those products are dissolved and released into our water system, affecting aquatic life in our lakes and streams and potentially ending up in our drinking water. The water that is flushed ends up in our wastewater treatment centers and is processed and cleaned there. This process can eliminate a lot of pollution and treat the water, but they are not set up to remove medications, allowing the contaminated water to enter back into the fresh water system. Many of these medications being flushed can include hormones and other endocrine disrupting compounds that affect reproduction systems and normal growth. All in all, this is NOT stuff you want floating around in your water! Just because we said not to flush your expired pills, does not mean that you should just throw them away in the garbage without extra caution. Many drugs are subject to misuse and abuse by other friends or family members-- or even someone digging through the trash. There are certain precautions you can take to dispose of expired medications properly at home or in your business. We offer Non-Hazardous Expired Pharmaceutical Destruction services for businesses that are handling expired medications on a regular basis. Our process includes pick up and destruction of the medications but also includes a manifest tracking system that ensures our customers that they are being 100% compliant with their disposals. With this services, you can have peace of mind knowing these chemicals are being disposed of properly and not ending up in our water system, or the wrongs hands. 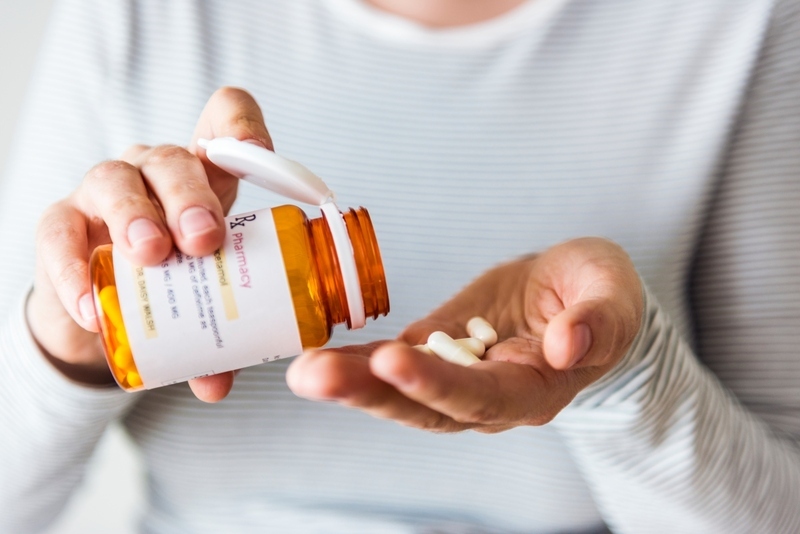 If you are not a business, and you’re at home stressing about how to dispose of your old pills, here are some tips on what you can do to make sure they don’t end up causing any issues for the environment or your family and friends. • Keep the medication in its original container and mark out the patient name with a black marker. The label typically includes safety information and the lid is generally childproof, so this container is ideal for disposal. • Do something to destroy the pills inside the container so that no one is tempted to pull it out of the trash and try to abuse them. Add a little vinegar, water, or lemon juice to the inside of the container with the pills to dissolve them. Conceal the container again with the liquid inside. • Tape the lid shut and put the bottle into another nontransparent container to conceal what it is. Then throw away both containers in the trash can. Here at Medical Waste Services, your safety is always top of mind. Whether you are at home or running a business, we want to educate others on the hazards improper medical waste disposal can wreck on our society. We offer a variety of different waste removal services involving transport of medical waste from the cradle to the grave while staying 100% compliant. Visit our services page to get an understanding of other issues we can help you with.